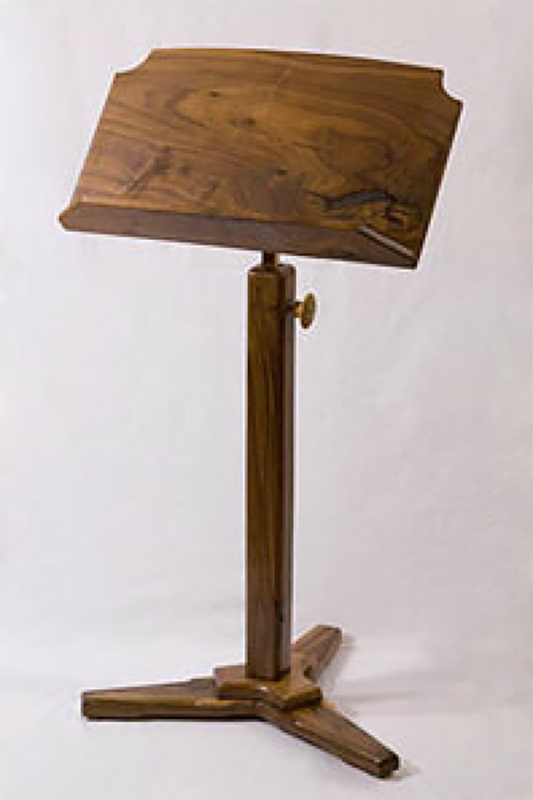 Lindon Toney has been making gorgeous wooden music stands out of exotic hardwoods for over 10 years. His attention to detail and ability to bring out the unique qualities in each piece of wood he uses results in one of a kind works of art that are as functional as they are beautiful. Lindon also makes benches, chairs, and custom pieces by request.